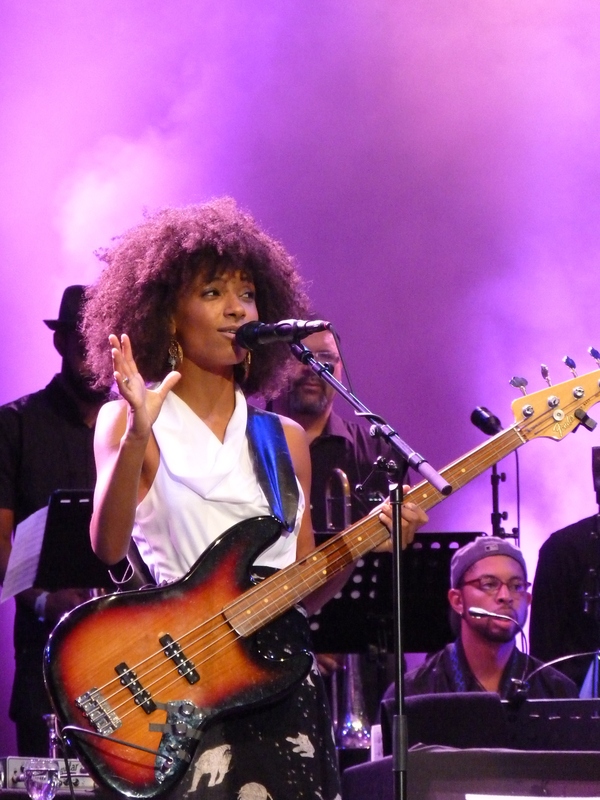 Jazz singer and bassist Esperanza Spalding performing on the North Sea Jazz festival in Rotterdam, The Netherlands. Photo by JBreeschoten. Broadway and Lincoln Center are thriving. The Metropolitan Opera is adding another day of performances. Rock and pop concert attendance is surging. But these are the big gigs. You have to make plans months in advance, stand on line for an expensive ticket, then sit in the upper balcony of a dark house in a numbered seat watching performers so blinded by the spotlights they can’t look you in the eye. But the little gigs connect musician with audience. They are together in a small room, looking each other in the eye. The player plays; the audience surrenders. A live musician is like a wolf in the forest: you don’t know where she will lead you—she feeds off you and you feed off her. Treat yourself to the little gigs. They’re everywhere in New York because New York is full of people who love to play music for you. Don’t ask the concierge to recommend a restaurant—ask him to recommend a restaurant with live jazz. Log out of Facebook and meet a friend at the neighborhood bar that features amateur rock bands. Have your birthday party at a merengue club in Inwood. Take your clients to coffee in a hotel lounge with a piano. You don’t need to be a parent to attend a high school musical and you don’t need to be a believer to hear a gospel choir. Bring the kids to a blues festival. Have lunch at your desk then go catch the lunchtime recital at a nearby church. Nod approvingly at the busker, toss a fiver in her violin case, and miss your train so you can hear the end of the sonata. As I was returning to my office from lunch the other day, I heard the plaintive strains of a soprano sax playing Si Tu Vois Ma Mere. Like a snake coiling out of a basket, I turned and followed the music to an open window in a brownstone on West 114th street, too high to see inside. I stood below the window, closed my eyes, and turned my head upward, letting the notes pour down on me, transfixed until they vanished. This is one of New York’s greatest resources: live music. It’s everywhere, all the time. Stop, unplug your ears, surrender.